Refresh data for MySQL ( 8.0.4 version). Short version of comparison table. 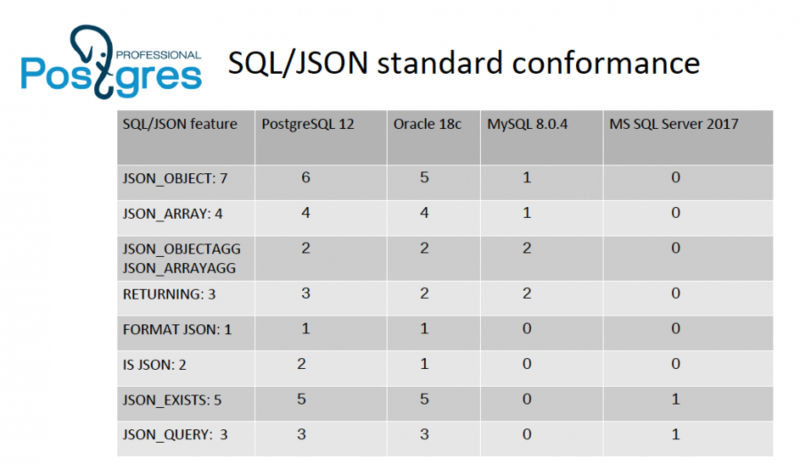 We compared SQL/JSON Standard-2016 conformance in the latest versions of the major relational databases and it is clearly seen from the table below, that PostgreSQL support is the best ! Nikita Glukhov and I have started this project a year ago, a couple of months after the Standard was published. Our initial intention was to have it in PG 10, but community afraid of the size of the patch. 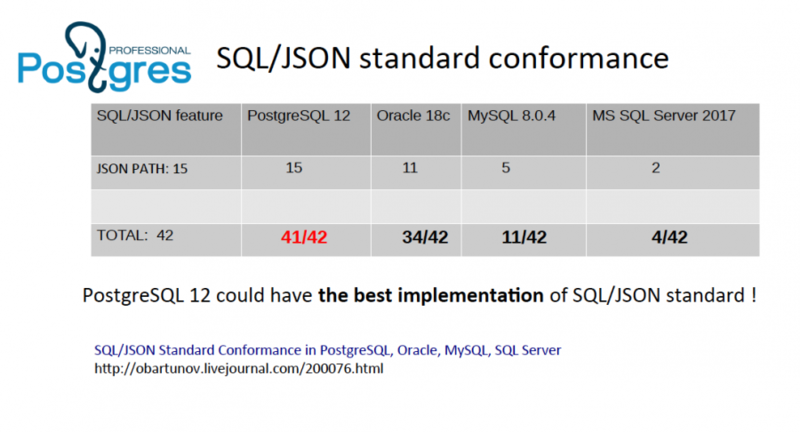 A year of development, reading the Standard, a lot of chatting, were really helpful to us and we confirmed now, that SQL/JSON standard is really useful and our implementation is solid.